Want to share the artwork and legacy of George Rodrigue with your students? Online resources including an educator guides are available HERE. GRFA is also available to visit your classroom to share information about the artist’s career and lead students in a creative activity. Our in-school presentations can be tailored to the age and special needs of your students. GRFA is proud to partner with East Jefferson YMCA for their Brushes, Buddies and Beyond program. This initiative is a “painting party” specifically for individuals with special needs from ages 5 to 25, and the classes are held in a safe and relaxing environment. Brushes, Buddies and Beyond provides unique opportunities to explore and learn about painting from an instructional artist. 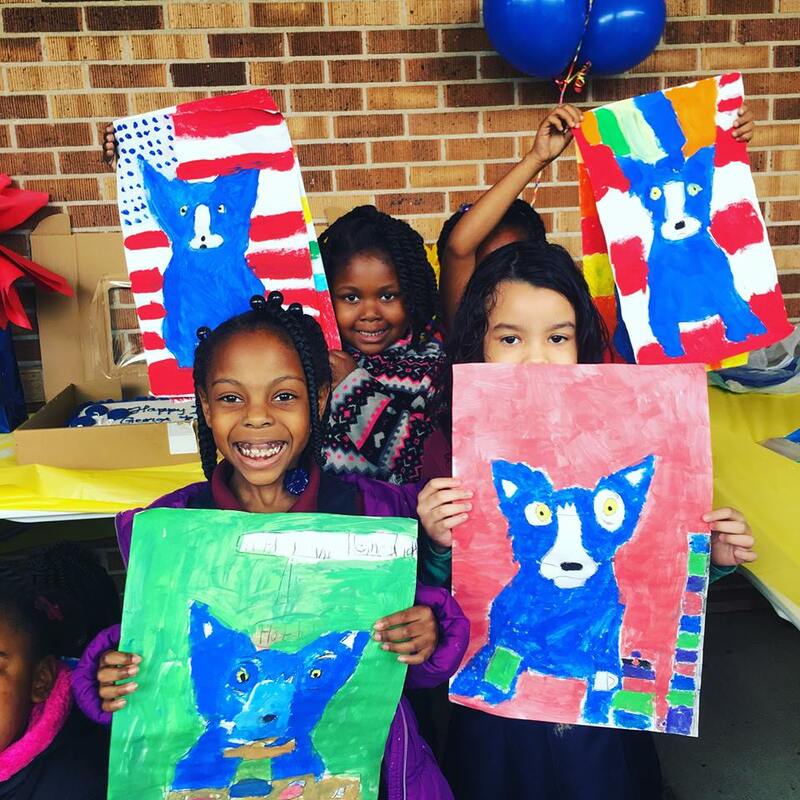 For each of their four annual sessions, GRFA will be sharing a different Blue Dog painting by George Rodrigue so that participants can create their own version of the artist’s iconic image. This special program by Tulane University’s School of Medicine recognizes the integral role of the arts in healing the spirit and transforming the treatment experience. 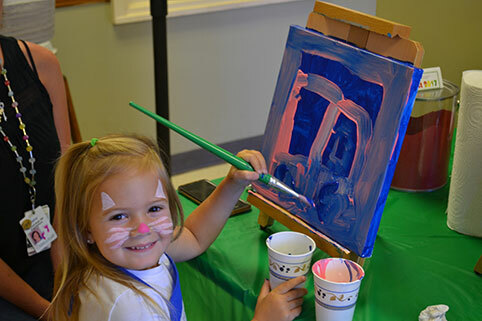 As part of our partnership, GRFA provides AIM with a grant through George’s Art Closet to purchase art enrichment supplies for pediatric patients and their families. On July 22, 2017, GRFA partnered with AIM for PaintFest 2017, a day of painting and creativity for patients and staff at Tulane Lakeside Hospital for Women & Children. To learn more about any of our Outreach programs, please contact us at 504-324-9614.